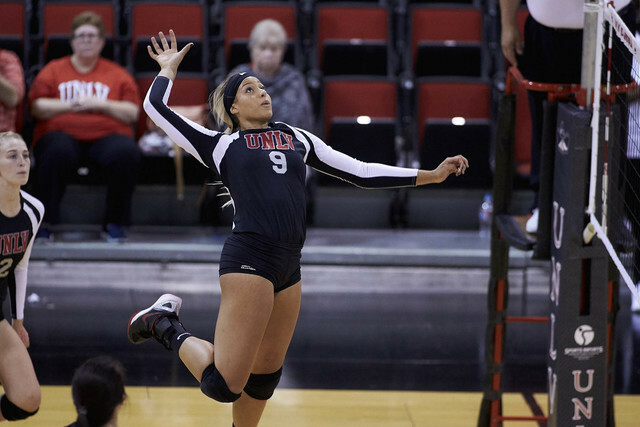 Bree Hammel had 23 kills and Alexis Patterson 47 assists to lead the UNLV volleyball team to a 3-1 victory over Boise State in both teams’ Mountain West opener Thursday at Cox Pavilion. Elisa Woinowsky had 17 digs and Ashley Owens eight blocks for the Rebels (12-1, 1-0), who won by scores of 25-23, 17-25, 25-21 and 28-26. Sierra Nobley had 13 kills and Jaymee-Lee Bulda 46 assists to lead the Broncos (9-5, 0-1).